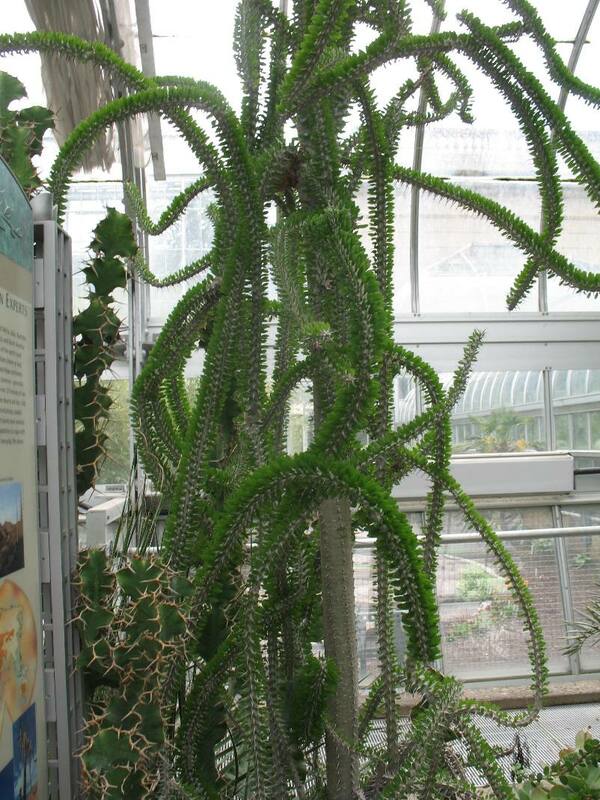 Comments: A dioecious succulent that attains a height of over 50 feet in its native habitat but is generally seen at lower heights and at aboout 6 feet in containers. It has white flowers in spring and drops its green, rounded leaves as temperature drops during the cool season. Estaablished plants are drought and deer tolerant.